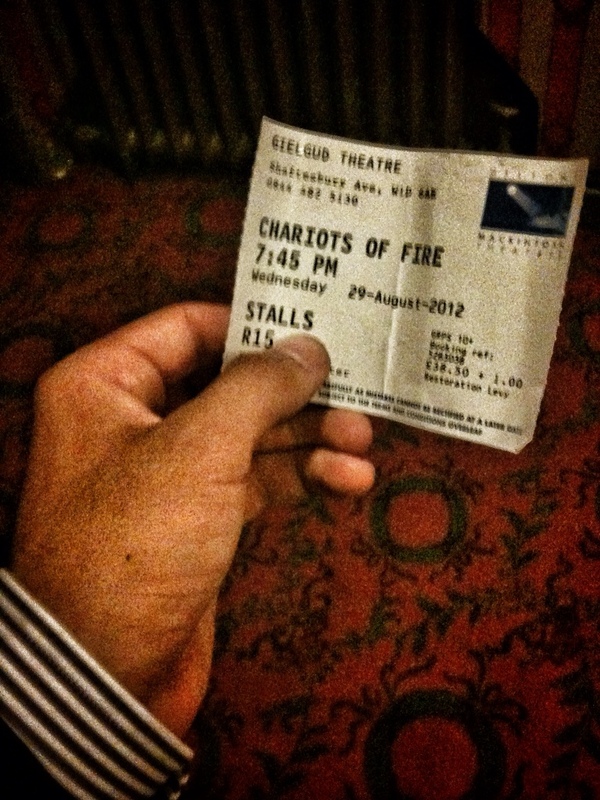 Last night I saw my first London theatre production, Chariots of Fire. 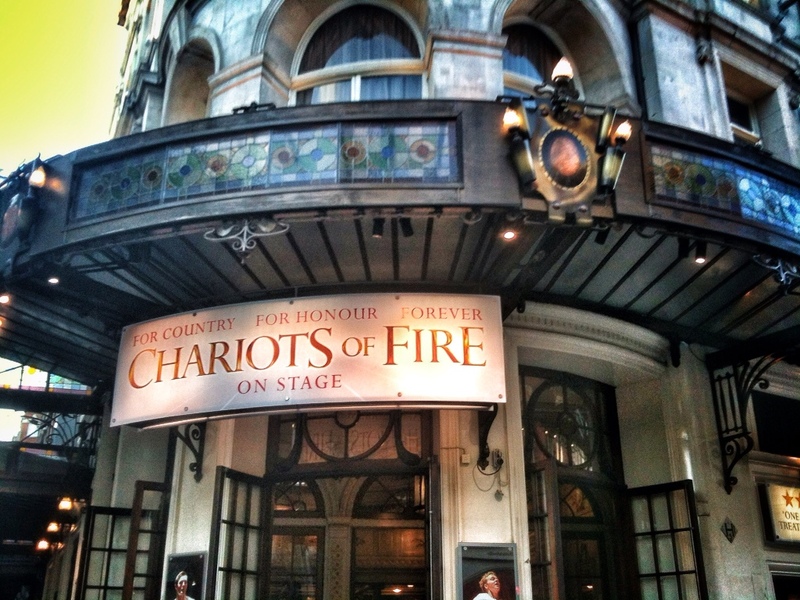 This stage adaptation of the famed movie was an amazing experience. 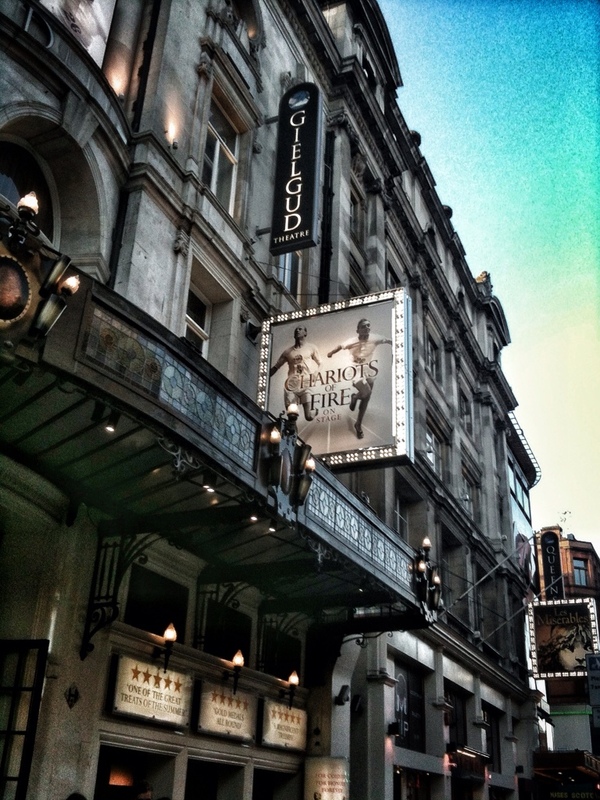 We went to the Gielgud Theatre, a beautiful old building with ornate detailing throughout. Everything felt so luxurious and incredible, and this was before the show even started! We had great seats and could easily see the action unfold on stage. The stage had a very creative set-up that made the blocking (movement and placement of actors) for the show very interesting and well done. The main stage was circular and comprised of one main circle, with another circle surrounding it. The outer circle moved and was used in a treadmill-like fashion to great effect throughout the show. 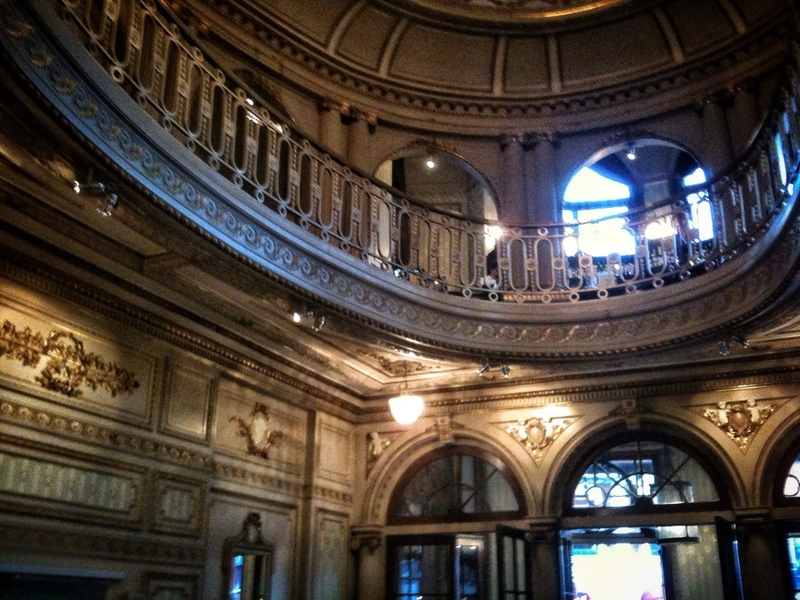 There were also two balconies that the actors used for certain scene, and a track running through the entire theater. It was a spectacular show, and I thought it translated quite well from screen to stage. I'm still astounded (and thankful to Grinnell) that I got to see this amazing performance for free! We have seven more free plays this semester, one per week, and it's going to create memories for a lifetime. The show was inspiring and totally incredible. From the moment its iconic music began roaring from the speakers, I knew I was in for a phenomenal show. I can't wait to see what's next!